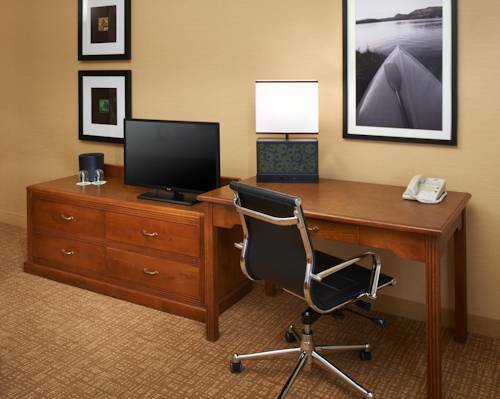 Discover the meeting point of comfort and convenience when you stay at Courtyard Milwaukee Downtown. Providing easy access to some of Milwaukee's most popular attractions including Riverside Theater, Miller Park and the historic Harley-Davidson Museum, our hotel is perfect for vacationers and business travelers alike. We are also just minutes from leading businesses including Johnson Controls, Ernst & Young, Molson Coors Brewing Co, Accenture and General Dynamics. Before exploring all that the city has to offer, get a good night's sleep inspired by our luxury bedding. In the morning, take care of your work commitments in the privacy of your room using our ergonomic workstations and free high-speed Wi-Fi. Fuel up with a delicious breakfast and Starbucks drink at our on-site restaurant, The Bistro, then head over to our fitness center to work on your strength and endurance using our cardio equipment and free weights. Start planning your Midwest adventure and book your stay at Courtyard Milwaukee Downtown. The Bistro - Eat. Drink. Connect. : Your downtown Milwaukee restaurant destination for refreshing breakfast choices in the morning, and a variety of dinner and cocktail options in the evening. The Bistro also offers specialty Starbucks beverages to help you get a jump on the day.